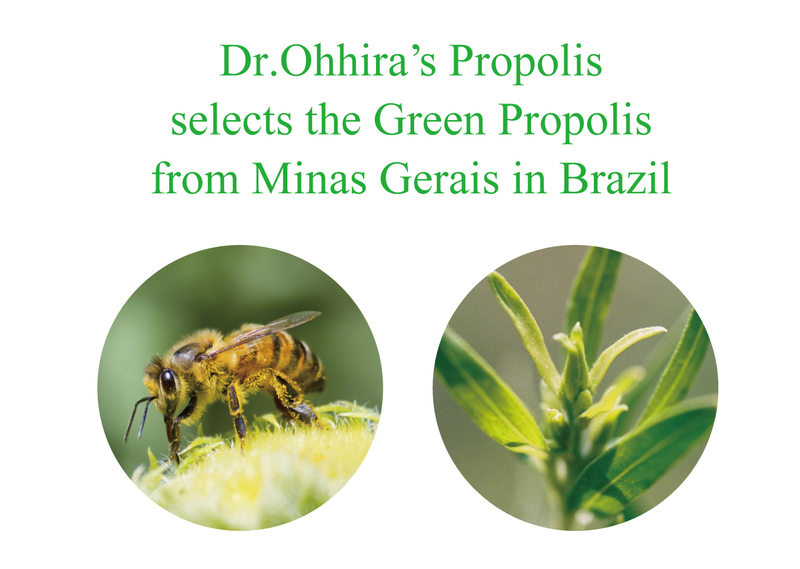 Green propolis from Minas Gerais in Brazil is selected for a dietary supplement Dr.Ohhira’s Propolis. 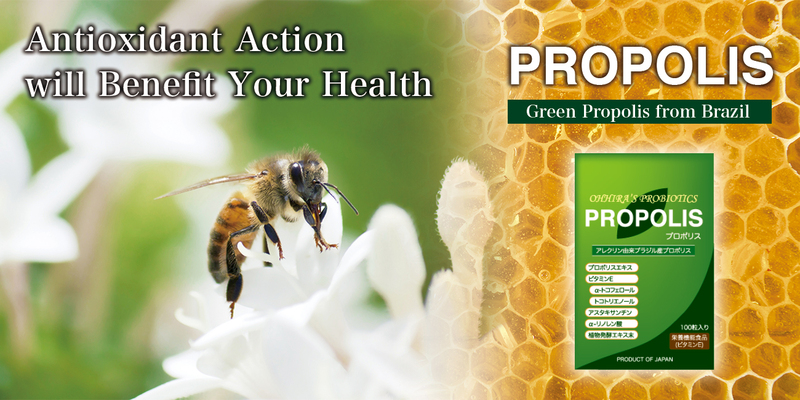 On top of this green propolis, a natural antioxidant substance called astaxanthin, two kinds of vitamin E, and flax seed oil are present as well which in turn contribute to enhance the effects of this product. Also, a fermented vegetable extract is added to create a better groundwork for you to experience the product effect. The antioxidant action from this product will benefit your health. A lot of reactive oxygen species (ROS) are produced due to changes in lifestyle or dietary habit, and exposure to various stressors. Certain amounts of ROS are important in maintaining good health, but an excess of ROS production possibly contributes to aging and cause diseases. A high quality propolis extracted by a patented process is selected for Dr.Ohhira’s Propolis in order to make an innovative supplement for antioxidant effect. 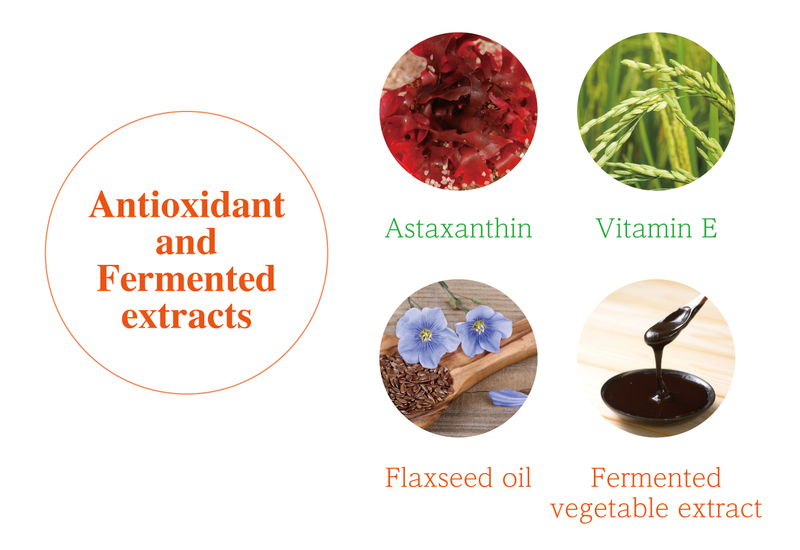 Additionally, a natural antioxidant substance called astaxanthin, two kinds of vitamin E, and flax seed oil are present as well which in turn contribute to enhance the effects of this product. Also, a fermented vegetable extract is added to create a better groundwork for you to experience the product effect. The antioxidant action from this product will benefit your health. 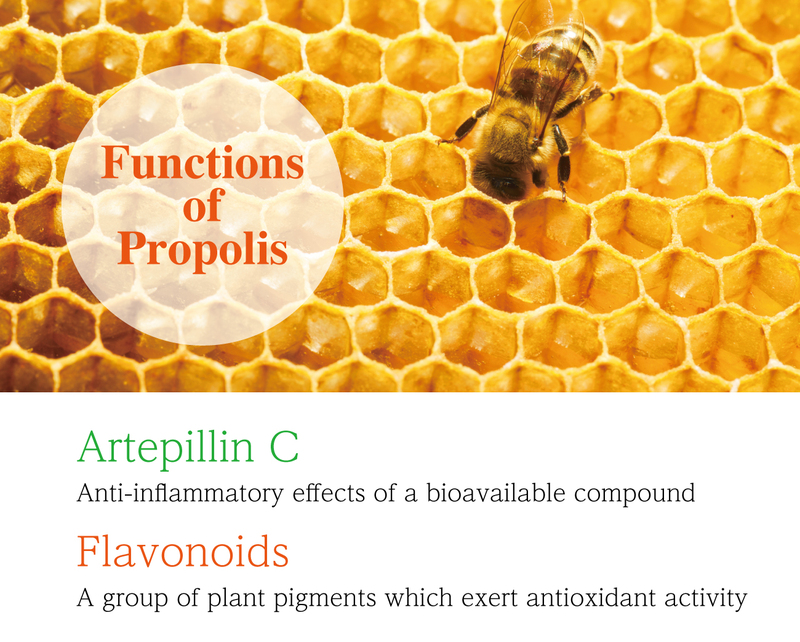 Propolis is a resinous mixture that honey bees collect from botanical sources. It is used as a sealant for unwanted open spaces in the hive for the purpose of preventing foreign enemies and harmful bacteria from entering the hive. The antibacterial capability and antioxidative potency of Propolis makes a significant contribution to the protection of honey bees. The green propolis used in our product is from Minas Gerais in Brazil. We extract this high quality propolis in Japan by using a patented extraction procedure, and use its water-soluble propolis extract in our product that is rich in functional compounds like flavonoids and cinnamic acid derivatives (i.e. Artepillin C). We set a strict standard for functional ingredients and pesticide residue for the selection of raw propolis. Only carefully-selected raw propolis is used in our product, Dr.Ohhira’s Propolis. Both water-soluble and lipid-soluble propolis are necessary to optimize the antioxidant actions in the various sections of the body. Dr.Ohhira’s Propolis contains a proper balance of both types of antioxidant substances that is soluble in water and soluble in oil. Other natural antioxidant compounds in this product perform as strong supporters for our bodies to fight against oxidized substances, and the lactic acid fermented vegetable extract works to create a groundwork for further demonstration of antioxidant abilities. There are some people who dislike the unique piquant flavor of propolis. The contents of Dr.Ohhira’s Propolis is enfolded by a vegetable soft capsule that makes it easier to swallow. Two types of vitamin E (alpha-tocopherol and tocotrienol) are in Dr.Ohhira’s Propolis. These have high antioxidant properties and help overall cellular health. Astaxanthin is a red carotenoid, a natural pigment. Dr.Ohhira’s Propolis uses highly absorbent astaxanthin extracted from seaweed. Its wide range of antioxidative potency supports performance of vitamin E and other substances in the product. 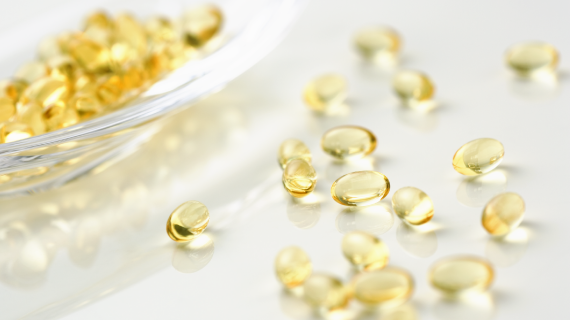 Alpha-linolenic acid is the basis of synthesizing EPA and DHA in the body. 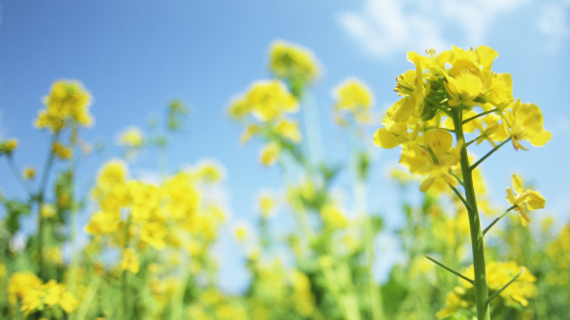 Unfortunately, alpha-linolenic acid cannot be produced within the body, so this must be acquired through diet. This can be a helper for us to achieve a better oil balance between fat and fatty oil. Dr.Ohhira’s Propolis contains a fermented vegetable extract (OM-X extract) with a five-year fermentation process. This supports to create a better inner condition for you to experience the beneficial effects from propolis and other antioxidants.